Contents and Media: 108 parts in pale grey resin; 13 parts in clear resin; 3 parts in cast brass; one photo-etched fret; one clear sheet of plastic; printed acetate sheet (instruments); markings for three aircraft. Conclusion: A truly luxurious model - perfectly cast, cleverly designed and beautifully detailed. 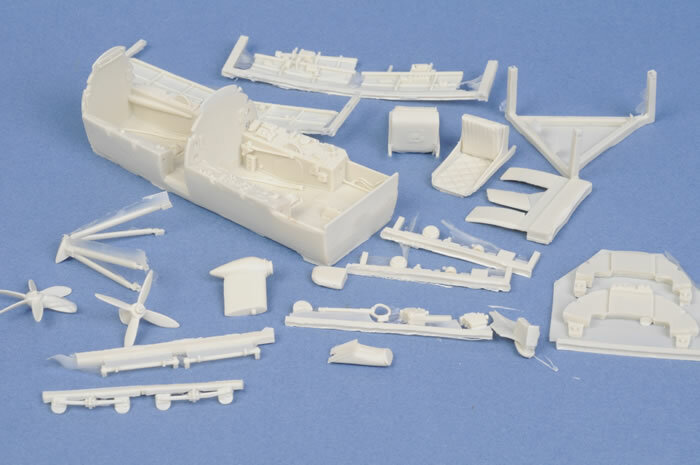 Fisher Model & Pattern has released their newest 1/32 scale Sea Fury variant - the T.Mk.20 trainer. 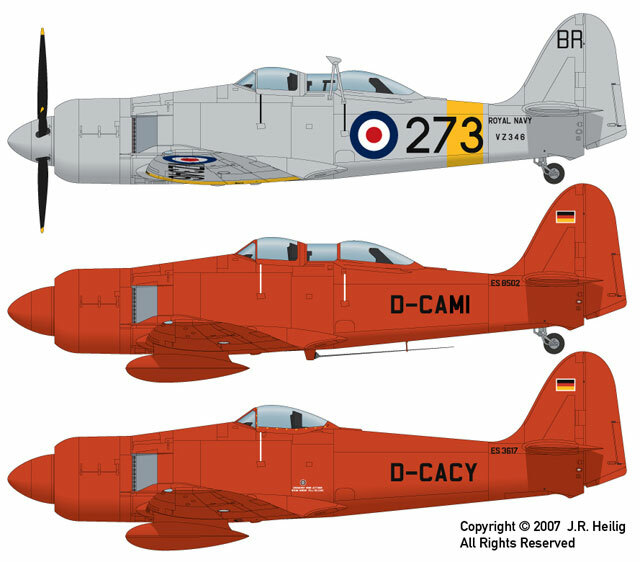 The two seater configuration dramatically changes the profile Sea Fury. 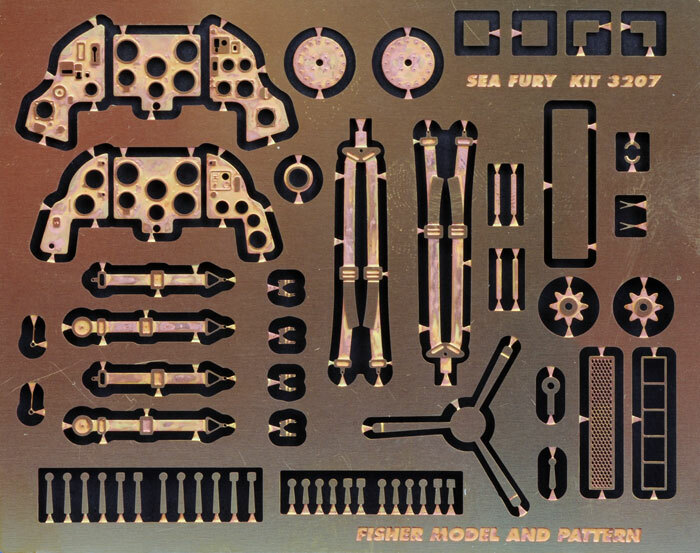 Fisher's T.Mk.20 has more partsthan its predecessors, comprising 108 parts beautifully cast in pale grey resin, 13 parts in clear resin, 3 parts in cast brass, one photo-etched fret; one clear sheet of plastic; printed acetate sheet (instruments) and markings for three aircraft. The contents of the stout yet fairly anonymous box are arranged into separate bags sorted by sub-assembly, then lovingly wrapped in tissue paper before final packing. 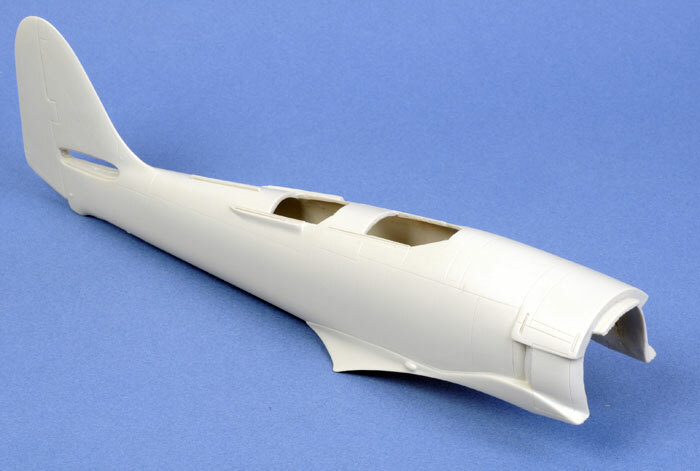 The first part to grab our attention is the one-piece main fuselage. As with the previous Fisher releases, this is a remarkable hollow casting. There is a slight casting scar on the bottom of the part, but there is no casting block even though this is one large piece of resin. In fact, there are no casting blocks on any of the main parts. Most are almost ready to use straight from the box. 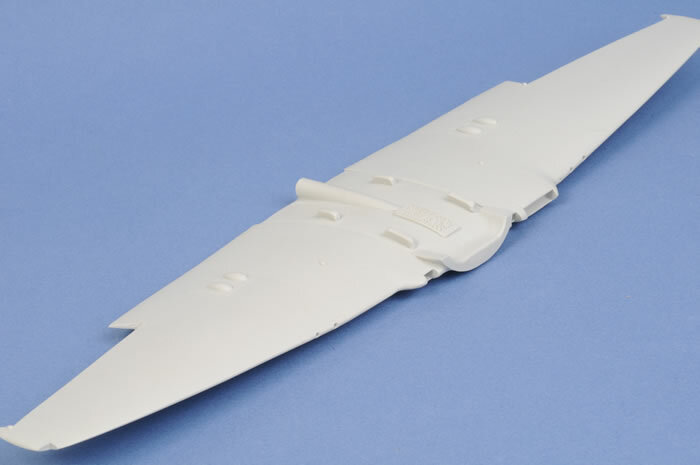 Smaller parts are cast onto strips, although the optional faces for the wing fold assembly are cast onto a wafer of resin. Surface detail is tastefully restrained, taking the form of recessed panel lines. These are quite crisp and very fine indeed, as is appropriate for the type. There is nary a rivet in sight. The wing is supplied in one full-span main part. 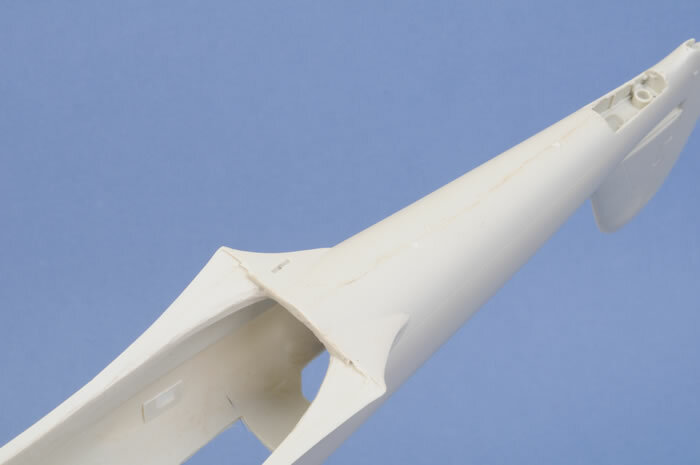 Not content to rest on their laurels, Fisher Models has provided anew wing with separate flaps, which may be posed closed or open. My sample kit came with the non-folded wings, but the folded wing (reviewed recently here on HyperScale) may be ordered with this kit as a no-cost option instead. 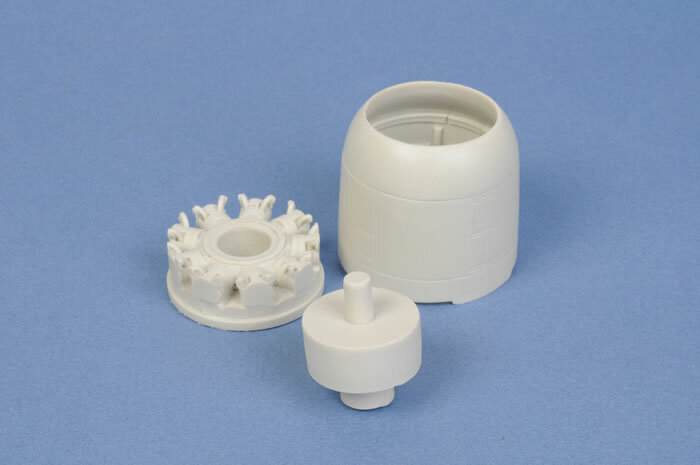 A tail wheel well plug is supplied for operational service machines fitted with a fixed tail wheel. The cockpit is a detailed model in its own right. The two-place cockpit tub is cleverly cast with much of the detail already in place, while the seat is cast presented with a convincingly quilted backrest. 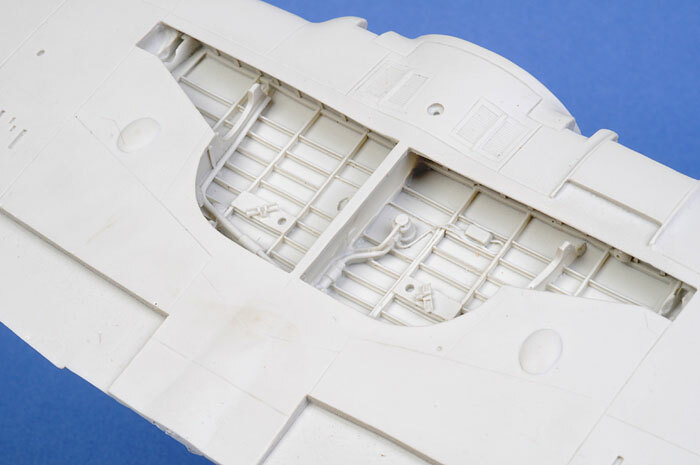 The harnesses and instrument panels are supplied as photo-etched parts, and two acetate instrument sheets will add a further air of authenticity to the front office. 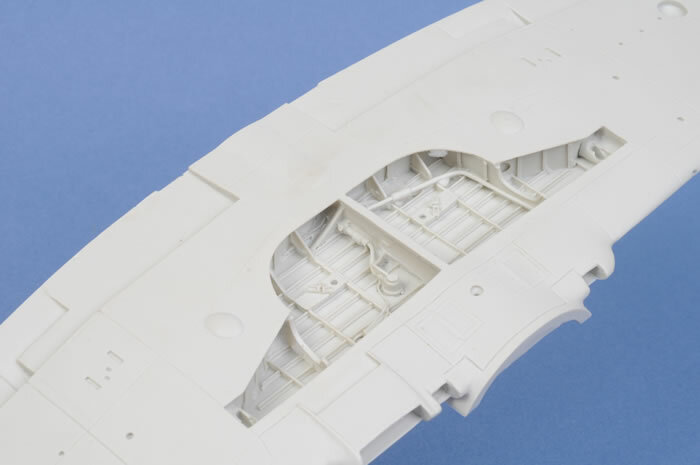 I recommend that you read the instructions carefully before assembling the cockpit, as it will require a very specific method for installing in the one-piece hollow fuselage. The nose assembly includes a two-part engine, which will be totally hidden by the close-cowled opening and the gigantic spinner. This has not prevented Fisher from casting fine cooling fins and crisp plumbing onto the engine. The exhaust stacks are all hollowed out. A chunky jig is supplied for aligning the pitch of the five-blade propeller - a thoughtful touch. 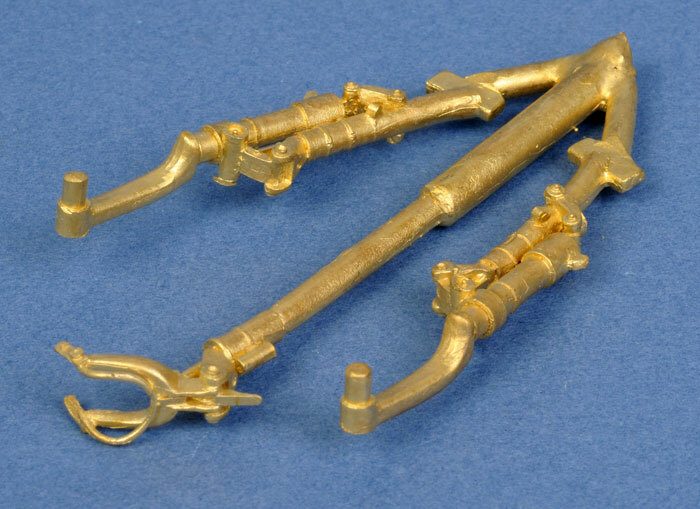 The landing gear for this large model is supplied in cast brass. These parts will require a little cleanup, but will be well worth the effort in terms of detail and robustness. 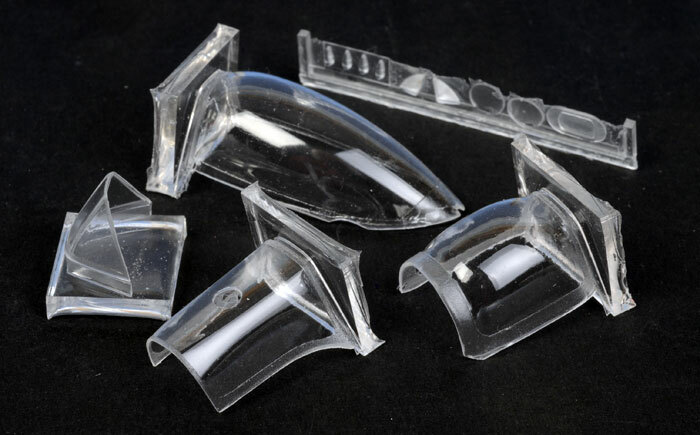 The canopy parts are suplied in clear resin, and they are extremely well done. Theseare so thin and flexible that they almost feel like vaform parts. 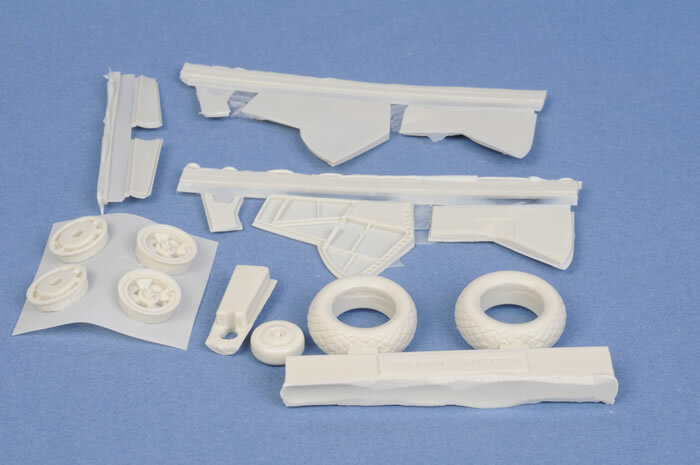 Some care will be required when handling, aligning and securing the parts to the model. 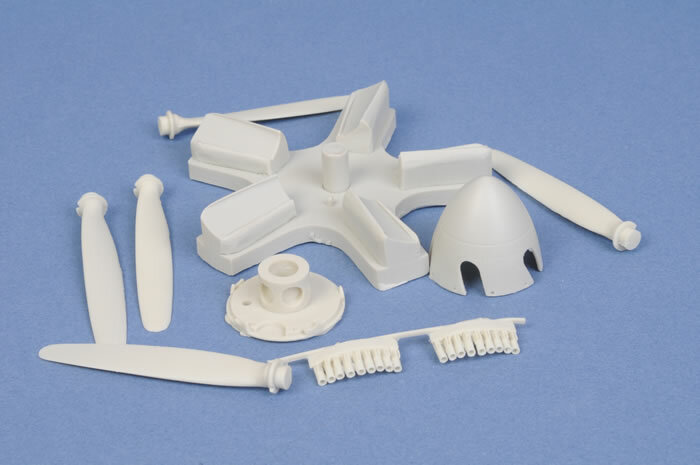 The navigation, landing and formation lights are also supplied in clear resin. Kit engineering has been cleverly designed to ensure perfect alignment, and for relatively simple assembly. I have test-fitted the wings and tailplanes to the fuselage, and all looks positive. Control surfaces are all cast separately except the rudder. The flaps are fixed in the closed position. 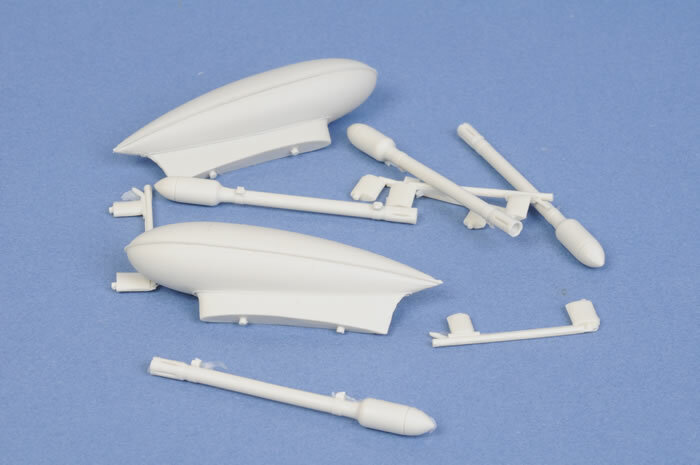 Two drop tanks and four rockets with rails are also included. 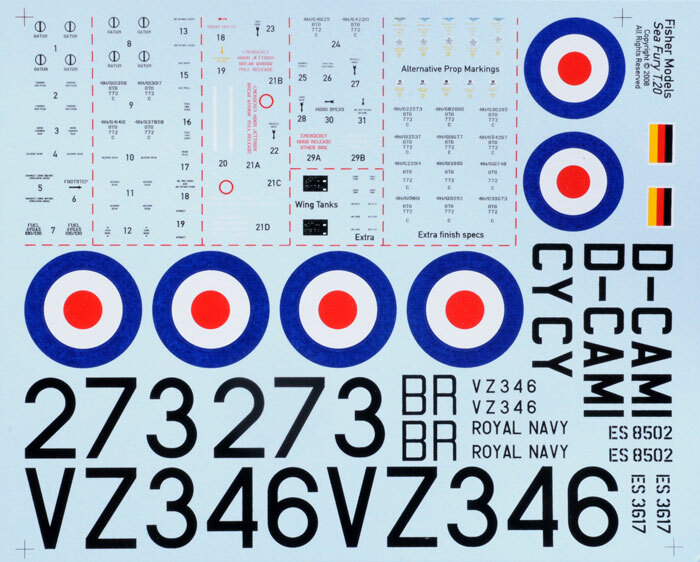 Markings are supplied for three aircraft - one Royal Navy trainer and two German target tugs. The British machine is finished in overall Aluminium with yellow wing and fuselage stripes. The German target tugs are painted a bright red. The instructions advise that yellow markings were also applied to thewing tips, rudder and spinners in later life. Please note that only one of the German target tugs is a two-seater, and this kit may only be built as a T.20. 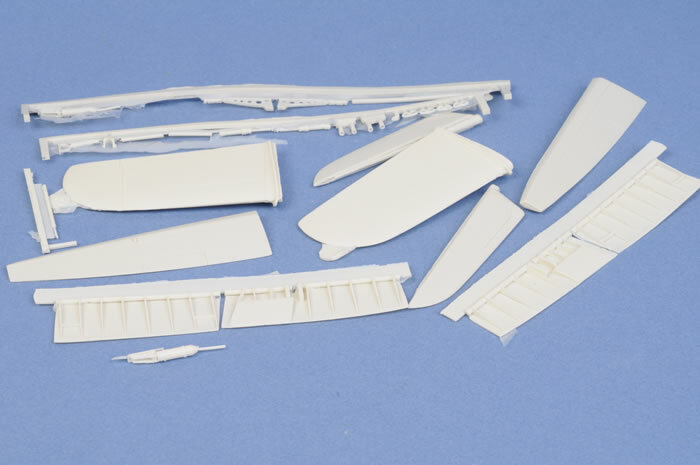 The other decals are bonus markings and may be applied to Fisher Models or Hobbycraft's single-seater Sea Fury kit. The decals are beautifully printed and are in perfect register. Fisher Model & Pattern's 1/32 scale Sea Fury T.Mk.20 is a luxurious and clever model of a magnificent subject. It is great to see that Fisher Models has striven to improve this kit compared to the original FB.11 by the inclusion of the revised wing with dropped flaps, and the option of the new folded wing set. 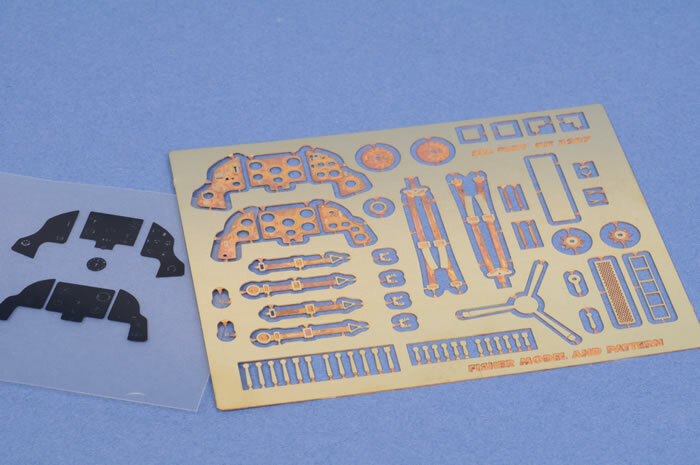 Detail is superb, accuracy looks spot-on, the decal sheet is gorgeous, and the kit should be within the skill range of any modeller who has a few multimedia kits under their belt. This Rolls-Royce elegance is matched by a Rolls-Royce price tag, but I can't help concluding that this kit is still good value considering the marvelous hand-cast contents of the box. I can only imagine the premium that this kit will command on Ebay in a couple of years' time. Even if you already own a Fisher Sea Fury FB.11 or racer, this two-seater will make an interesting contrast in terms of colour and profile.